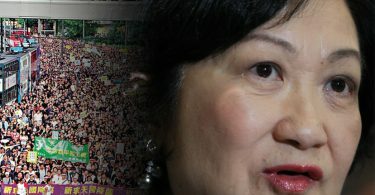 Lawmaker James To Kun-sun of the Democratic Party has criticised Youngspiration’s Yau Wai-ching and Baggio Leung Chung-hang for disregarding the safety of others during Wednesday’s chaotic session at the Legislative Council. 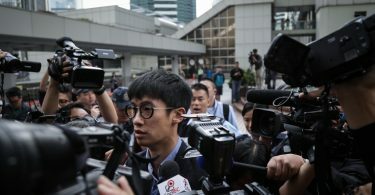 The localist pair, alongside a dozen of their assistants, tried to barge into a meeting on Wednesday after they were barred from attending all meetings on the grounds that they have not been sworn-in. The action resulted in the injury of at least four security guards, with the police being summoned for assistance. To said in an RTHK radio show on Thursday that Yau and Leung should take responsibility for causing injury to the security guards. If the security guards were unable to bring the situation under control, there was a need to seek police assistance, he said. He said he believed the force used by Youngspiration lawmakers and their aides in barging into the meeting must have been significant. “Given that the door [of the meeting room] was locked, your attempt to force it open means you disregarded other people’s safety. This is wrong, and should be heavily criticised,” To said. James To. Photo: Stanley Leung/HKFP. To denied that he was trying to draw a line between his party and Youngspiration. Rather, he said, it was a matter of principle and he would criticise any conduct that he considers to be wrong. 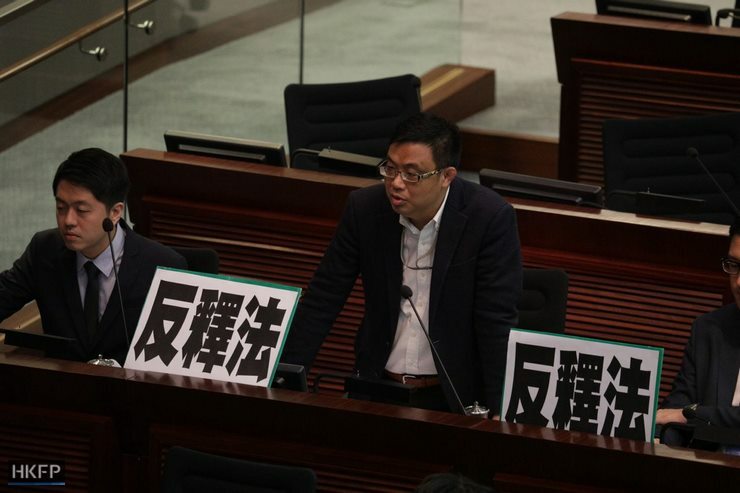 To, who is a convenor of a weekly meeting of pan-democratic and localist lawmakers, said that Yau and Leung never discussed their plans with other pro-democracy lawmakers. 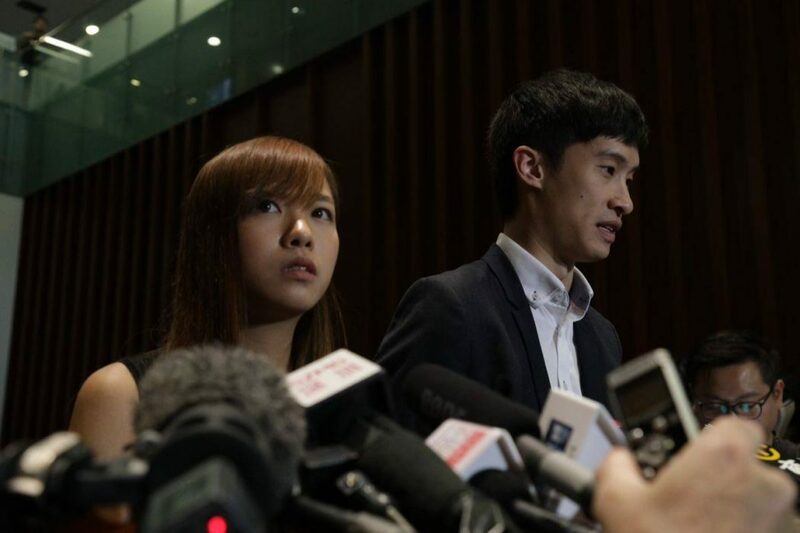 Youngspiration’s Yau Wai-ching (left) and Baggio Leung Chung-hang (right). Photo: HKFP. He said that the duo went to the weekly meeting only once to inform other lawmakers of their arrangements, but not to discuss future actions with them. “They just told us what they were going to do and asked: Are you going to help us or not? It’s up to you,” he said. 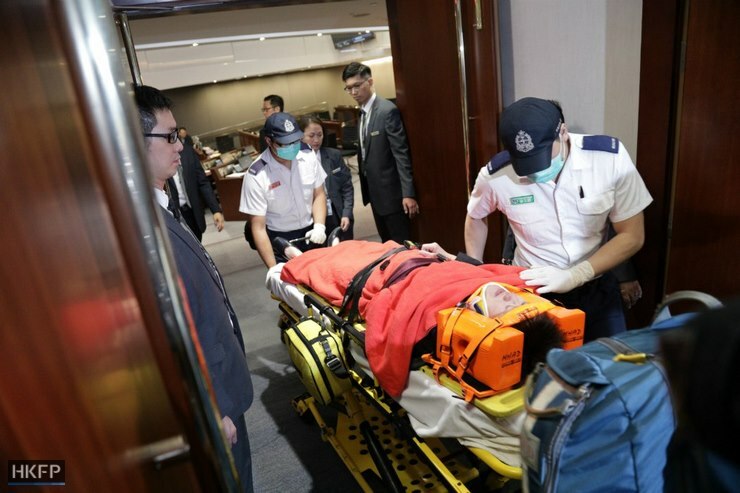 After the chaos, Yau and Leung said they will send the injured guards their sympathies, although they did not apologise. Legislative Council President Andrew Leung, who asked the police to maintain order, said he “strongly condemns the violent action” of the Youngspiration pair.